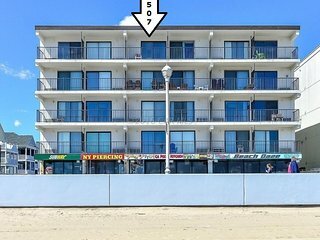 Cozy Ocean City Condo w/Patio Steps from Beach! “WOW! 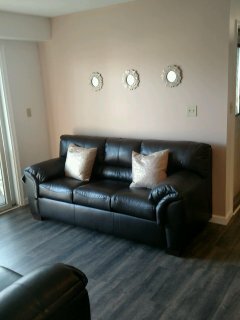 Wonderful stay with little ones!” Beautiful and well maintained condo. Keyless entry locks were a plus (no keys being lost!). Easy beach and amenity access. We loved the pool! We will definitely be staying again! “All Superlatives!” Clean. Comfortable. Quiet. Well-supplied. 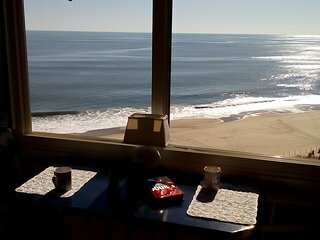 Wonderful ocean view from balcony and bedroom. Easy access to beach. Smooth "registration" system. Convenient to restaurants, shops, entertainment. We loved it! 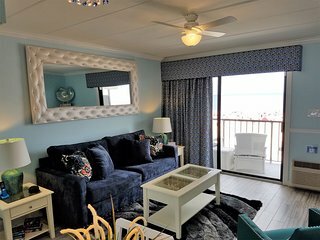 Oceanfront beach condo w/ shared pool. Walk to Delaware! 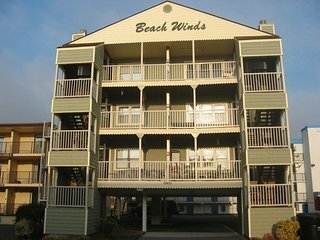 Oceanview, dog-friendly condo with easy beach access - walk the sand with ease! 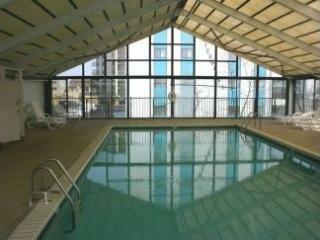 Ocean view condo w/ balcony & shared pool, tennis & game room - steps to beach! 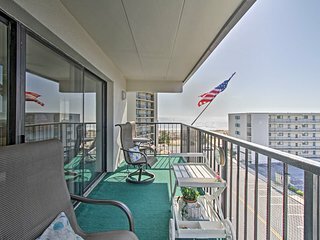 Cozy, waterfront condo w/ an ocean view - just steps from the beach! 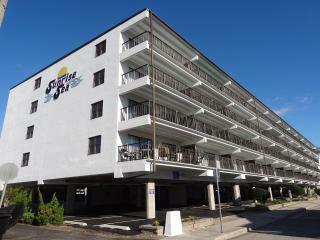 Beautiful upscale condo just steps away from the beach w/great outdoor lounge! 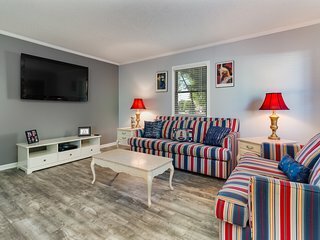 Comfortable condo w/ shared pool & tennis - walk to the beach! 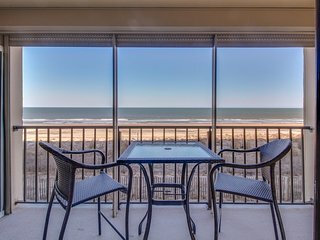 Oceanfront condo w/ amazing views & beach access offers private pool, tennis! 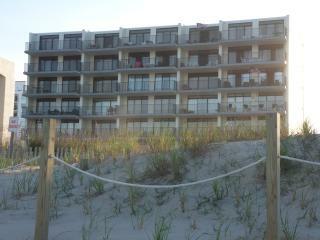 Must See - Beautiful Direct Oceanfront Condo On The Boardwalk - Private Balcony! 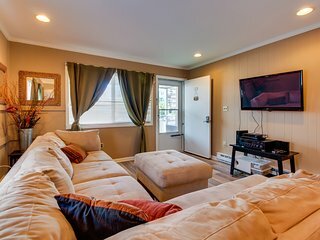 Partial oceanview escape w/ shared pool & prime location steps from the beach! 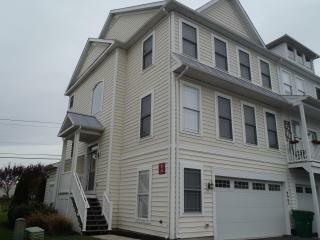 Nice, quiet neighborhood home 3 blocks from the beach - shared pool! Nice! 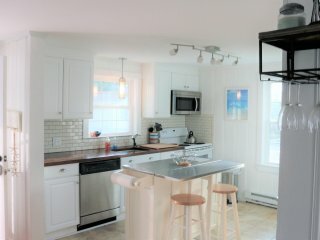 2 BR, Coastal Cottage Condo, Walk To Beach, Restaurants! 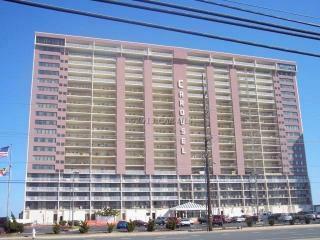 Prime Location...12th & Boardwalk...Direct Ocean Front with Amazing Views! “Great time!” Perfect location for so many things. Being on the boardwalk is great. 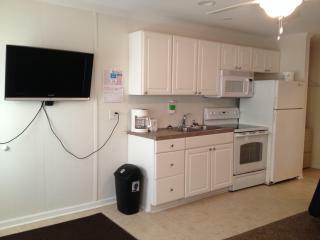 Condo has everything we needed. 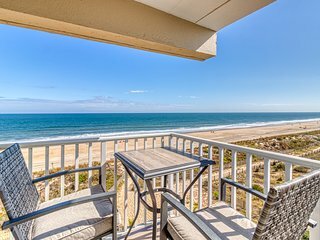 Known as one of the most lively and family-oriented seaside destinations on the east coast, Ocean City, MD truly defines the ideal beach vacation. 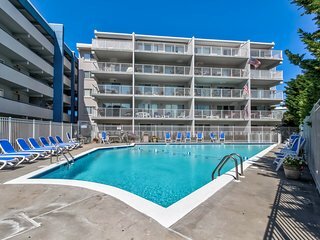 Step outside your vacation rental's backdoor and walk just steps to the beach, or casually stroll along the Ocean City, MD boardwalk, equipped with old-fashioned food and candy venues, surf shops, unique boutiques, and rides for the kids. Spend an evening visiting Trimper's Rides and Amusement Park along the boardwalk and take part in a true Ocean City tradition. With bumper cars, rollercoasters, cotton candy, and a stunning antique carousel, Trimper's makes for the perfect family evening outing. 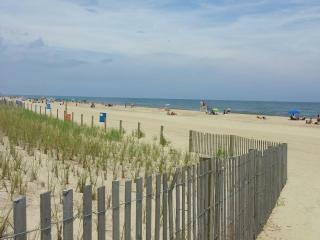 During your time here, soak up some rays, then head to Ocean City's Party Block in the evening to hear some live music. The Party Block is busiest during spring break and Ocean City's senior week, and features a wide range of events showcasing all of Ocean City's vitality. Visit the "Ripley's Believe It or Not" Museum: This fun attraction is located at the Pier and is perfect for both kids and adults. The museum is home to a unique collection of optical illusions, animal life, oddities, and more! Take a surfing lesson: There are several Ocean City surf schools with patient instructors who can get you up on a board and into the waves in no time. Play golf: Ocean City golf packages offer discounts and services at some of Maryland's best golf locations. Experience champion caliber courses and beautiful ocean-side driving ranges. 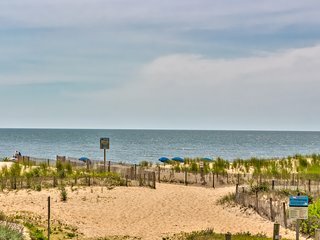 Go camping and hiking: Ocean City, Maryland's campgrounds and hiking trails are some of the most scenic and beautiful in the state. 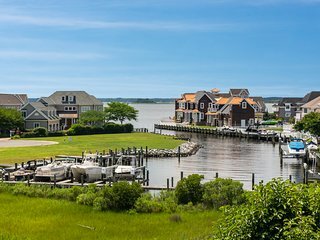 Hike the trails, rent a mountain bike, or experience the Maryland coast on horseback. Hear some live music: Enjoy free evening beach concerts during the summer months, just steps away from the boardwalk, and free concerts and festivals at Sunset Park, Ocean City's newest venue. 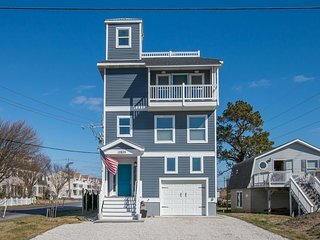 Bring your family to Ocean City and stay in a luxury summer rental along the boardwalk with breathtaking views of the Atlantic Ocean. 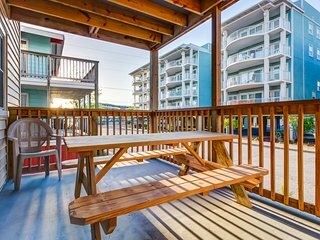 You can also gather some friends for a spring break vacation and stay in a condo rental downtown near the shopping areas and nightlife. 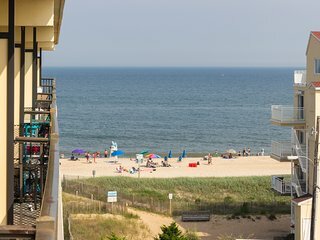 While you're visiting Ocean City, you may want to take a few day trips to other east coast vacation destinations like Rehoboth and Cape May to the north.